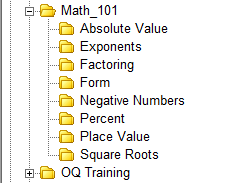 One of the first and most popular uses for computers in testing was to allow a test maker to store questions in files, making it much easier to assemble alternate forms of tests and store additional data associated to the items in subsets. The invention of question banks vastly improved the test development process, promoting far greater flexibility and functionality by integrating elaborate database software to manage the accumulated questions. Among the many benefits of using computer-based assessment, the lower long-term costs, greater flexibility and impartiality, storage efficiency, and question enhancement can be attributed to the online exam maker's question bank function. Effective assessments require reliable, impartial and fair implementation, minimizing the variability of evaluation and unbiased by external factors. The opportunity to randomize the delivery of questions is a key benefit of computer based testing to minimize cheating and maximize effectiveness, and one that Test Generator excels at with our unique online tools. Test Generator's Test Randomization Engine enables test authors to apply a range of randomization options to tests, exams, assessments, papers, quizzes or surveys.